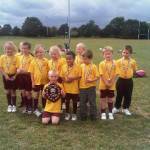 On Thursday 26th May Southend Rugby Club was the venue for the KS 1 Tag Rugby competition. Unlike the day before the sun was not out shining and it felt like a winter’s day. 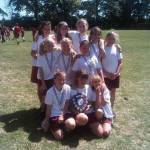 The schools from the West and the East enjoyed the sunshine today at the Year 5 & 6 Rounders Competition. The Girls competed in the morning setting the standard for the day. Southend Handball Club has now started. 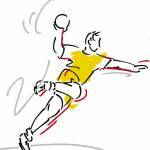 Handball is the ultimate team game. The training sessions are for beginners all the way up to more advanced players. Boys & Girls aged 10- 15 years.